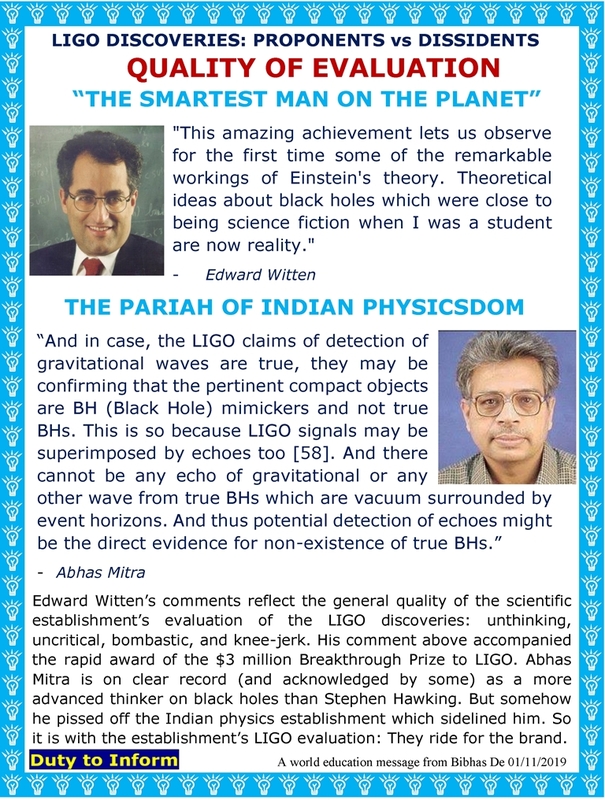 Folks, I continue with my series of two-person graphics, illustrating the quality of science brought to the table by the two sides. Later I will try to collect these graphics in a Casebook. It is a damn shame that the Indian Ligonauts do not heed their own homeland genius, but accept what the sahibs have to say in total faith. This entry was posted on January 11, 2019 at 12:12 pm and is filed under LIGO Discovery, LIGO India, Uncategorized. You can follow any responses to this entry through the RSS 2.0 feed. Both comments and pings are currently closed.